The writ petition was filed for the enforcement of the fundamental rights of working women under Articles 14, 19 and 21 of the Constitution of India as a class action by certain social activists and NGOs with the aim of focusing attention towards this societal aberration, and assisting in finding suitable methods for realisation of the true concept of “gender equality”; and to prevent sexual harassment of working women in all workplaces through judicial process, to fill the vacuum in existing legislation. This was done in exercise of the power available under Article 32 of the Constitution for enforcement of the fundamental rights and it was further emphasized that this would be treated as the law declared by the Court under Article 141 of the Constitution. The Court referred to Articles 14, 15, 19(1)(g), 21, 42, 51-A(a) and (e) of the Constitution. The Court stated that in the absence of domestic law occupying the field, to formulate effective measures to check the evil of sexual harassment of working women at all workplaces, the contents of international conventions and norms are significant for the purpose of interpretation of the guarantee of gender equality, right to work with human dignity in Articles 14, 15, 19(l)(g) and 21 of the Constitution and the safeguards against sexual harassment implicit therein. Any international convention not inconsistent with the fundamental rights and in harmony with its spirit must be read into these provisions to enlarge the meaning and content thereof, to promote the object of the constitutional guarantee. This is implicit from Article 51(c) and the enabling power of Parliament to enact laws for implementing the international conventions and norms by virtue of Article 253 read with Entry 14 of the Union List in Seventh Schedule of the Constitution. Article 73 also is relevant. It provides that the executive power of the Union shall extend to the matters with respect to which Parliament has power to make laws. The executive power of the Union is, therefore, available till Parliament enacts legislation to expressly provide measures needed to curb the evil. The Court observed that the meaning and content of the fundamental rights guaranteed in the Constitution of India are of sufficient amplitude to encompass all the facets of gender equality including prevention of sexual harassment or abuse. Independence of judiciary forms a part of our constitutional scheme. The international conventions and norms are to be read into them in the absence of enacted domestic law occupying the field when there is no inconsistency between them. It is now an accepted rule of judicial construction that regard must be had to international conventions and norms for construing domestic law when there is no inconsistency between them and there is a void in the domestic law. The High Court of Australia in Minister for Immigration and Ethnic Affairs v. Teoh has recognised the concept of legitimate expectation of its observance in the absence of a contrary legislative provision, even in the absence of a Bill of Rights in the Constitution of Australia. In Nilabati Behera v. State of Orissa a provision in the ICCPR was referred to support the view taken that “an enforceable right to compensation is not alien to the concept of enforcement of a guaranteed right”. In view of the above, and the absence of enacted law to provide for the effective enforcement of the basic human right of gender equality and guarantee against sexual harassment and abuse, more particularly against sexual harassment at workplaces, the Court lay down the guidelines and norms specified hereinafter for due observance at all workplaces or other institutions, until a legislation is enacted for the purpose. The progress made at each hearing culminated in the formulation of guidelines to which the Union of India gave its consent through the learned Solicitor General, indicating that these should be the guidelines and norms declared by this Court to govern the behaviour of the employers and all others at the workplaces to curb this social evil. 1. Duty of the employer or other responsible persons in workplaces and other institutions’. It shall be the duty of the employer or other responsible persons in workplaces or other institutions to prevent or deter the commission of acts of sexual harassment and to provide the procedures for the resolution, settlement or prosecution of acts of sexual harassment by taking all steps required. Where any of these acts is committed in circumstances whereunder the victim of such conduct has a reasonable apprehension that in relation to the victim’s employment or work whether she is drawing salary, or honorarium or voluntary, whether in government, public or private enterprise such conduct can be humiliating and may constitute a health and safety problem. It is discriminatory for instance when the woman has reasonable grounds to believe that her objection would disadvantage her in connection with her employment or work including recruiting or promotion or when it creates a hostile work environment. 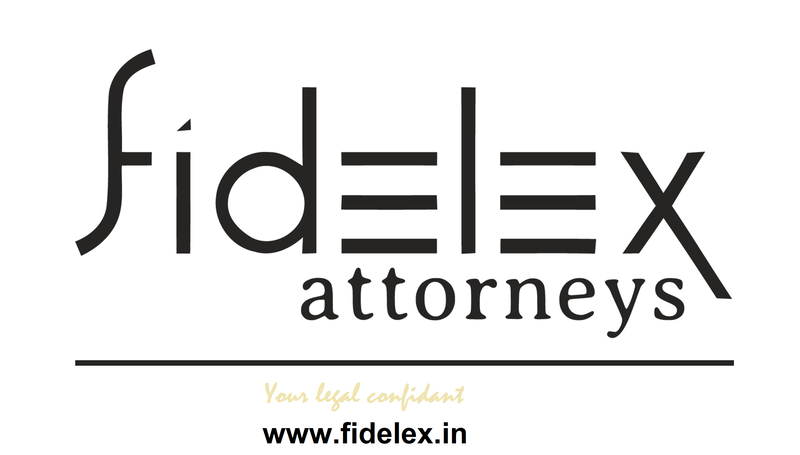 Adverse consequences might be visited if the victim does not consent to the conduct in question or raises any objection thereto. (a) Express prohibition of sexual harassment as defined above at the workplace should be notified, published and circulated in appropriate ways. (d) Appropriate work conditions should be provided in respect of work, leisure, health and hygiene to further ensure that there is no hostile environment towards women at workplaces and no woman employee should have reasonable grounds to believe that she is disadvantaged in connection with her employment. Where such conduct amounts to a specific offence under the Indian Penal Code or under any other law, the employer shall initiate appropriate action in accordance with law by making a complaint with the appropriate authority. Where such conduct amounts to misconduct in employment as defined by the relevant service rules, appropriate disciplinary action should be initiated by the employer in accordance with those rules. Whether or not such conduct constitutes an offence under law or a breach of the service rules, an appropriate complaint mechanism should be created in the employer’s organization for redress of the complaint made by the victim. Such complaint mechanism should ensure time- bound treatment of complaints. The complaint mechanism, referred to in (6) above, should be adequate to provide, where necessary, a Complaints Committee, a special counsellor or other support service, including the maintenance of confidentiality. Complaints Committee should involve a third party, either NGO or other body who is familiar with the issue of sexual harassment. The Complaints Committee must make an annual report to the Government Department concerned of the complaints and action taken by them. The employers and person-in-charge will also report on the compliance with the aforesaid guidelines including on the reports of the Complaints Committee to the Government Department. Employees should be allowed to raise issues of sexual harassment at workers’ meeting and in other appropriate forum and it should be affirmatively discussed in employer-employee meetings. Awareness of the rights of female employees in this regard should be created in particular by prominently notifying the guidelines (and appropriate legislation when enacted on the subject) in a suitable manner. Where sexual harassment occurs as a result of an act or omission by any third party or outsider, the employer and person-in-charge will take all steps necessary and reasonable to assist the affected person in terms of support and preventive action. 11. The Central/State Governments are requested to consider adopting suitable measures including legislation to ensure that the guidelines laid down by this order were also observed by the employers in private sector. This entry was posted in Constitution, Service. Bookmark the permalink.